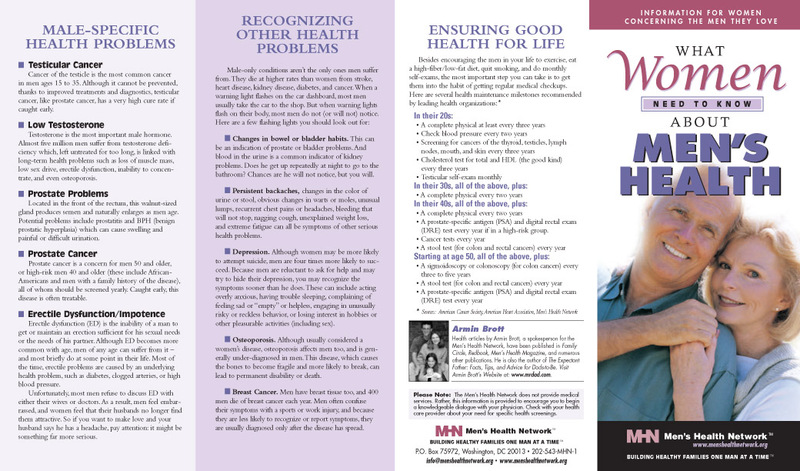 Did you know that on average, men are less healthy and have a shorter life expectancy than women. Part of the reason is that they do not take care of themselves as well as women do. They are also less likely to have health insurance, more likely to work in dangerous occupations, and often do not seek medical attention when they need it. 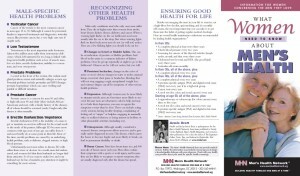 Download a free copy of this brochure in English or Spanish.